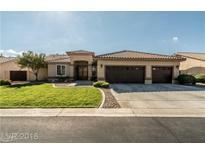 Below you can view all the homes for sale in the Enclave subdivision located in Las Vegas Nevada. 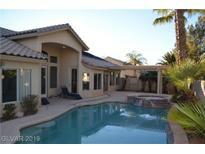 Listings in Enclave are updated daily from data we receive from the Las Vegas multiple listing service. To learn more about any of these homes or to receive custom notifications when a new property is listed for sale in Enclave, give us a call at 702-323-5939. Upstairs Master W/ Large Private Bath. Great Location MLS#2088318. Key Realty Southwest LLC. Minutes from the Strip & Raiders stadium. Additional upgrades list available. MLS#2081923. Century 21 Americana. ft, 4 bedrooms, 3 full & 1/2 baths, 3 car garage, RV parking, tile floors t/o, huge family room w/ cozy fireplace, formal living & dining room, gourmet kitchen has a plethora of counter top space & cabinets, walk in pantry, all appliances & eat in dining area, a refreshing pool & spa, & covered patio. MLS#2081419. BHHS Nevada Properties. This gem is located in a gated community and features a three-car garage, custom/matching front and access doors, pool, shutters, custom cabinetry, custom granite slab wall at the fireplace, solar panels, stainless steel appliances, two-sided fireplace in the Master, 1/3 acre lot, the list goes on and on and on...Come and get it! MLS#2043292. Realty ONE Group, Inc.